After many sleepless nights and nappy changes, you deserve a little bit of downtime. While ditching the “parenting thing” and escaping to a tropical island where you can sleep till noon may seem tempting, a family holiday offers the perfect opportunity to build new memories and bond with your new arrival. 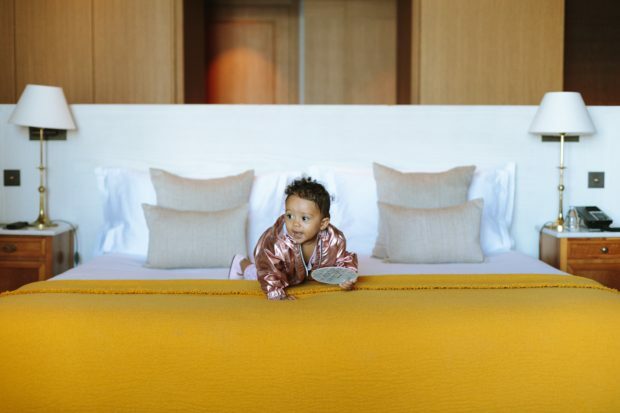 To make booking a luxury baby-friendly holiday easy, we’ve put together some of our favourite destinations, hotels and other travel recommendations. Our guide will help you plan the perfect luxury holiday. Only a two-hour flight from London, Tuscany is perhaps one of the best places in Europe for a first family holiday. Italians love little ones and often go out of their way to lend a helping hand. Many restaurants provide high chairs and formula and nappies are easily obtained in local supermarkets. Some of Tuscany’s main tourist attractions, especially in Florence, aren’t fantastic for prams, so we recommend bringing a baby carrier. Medici Palace – Florence. With its walled garden, extravagant inner courtyard and contemporary art exhibitions, the Medici Palace should be on the top of anyone’s bucket list. This is one attraction where having a baby carrier really comes in handy. Florence Streets. As most new parents know, a walk in the pram can be a godsend when your little one gets fussy. Thankfully, Florence is a fantastic place to walk and has many beautiful streets packed with quaint cafes for that much-needed jolt of caffeine. You can also see some fantastic sights during your walks like the copy of Michelangelo’s David in the Piazza Della Signoria or Duomo Cathedral. Tuscan Countryside. Renting a car and driving into the Tuscan countryside is the ultimate highlight. You can stop off at vineyards, explore small yet stunning ancient towns and admire Italy’s natural beauty. Make sure to either bring your own car seat or reserve one in advance as not all car companies provide them. Four Season Hotel Firenze. Located in a breathtakingly beautiful 500-year-old palazzo and 16th-century convent, the five-star Four Season Hotel Firenze is the ideal choice for a baby-friendly luxury holiday. It’s also home to Florence’s biggest private botanical garden, so there’s plenty of room for babies to practice their crawling. Rocco Forte Hotel Savoy. 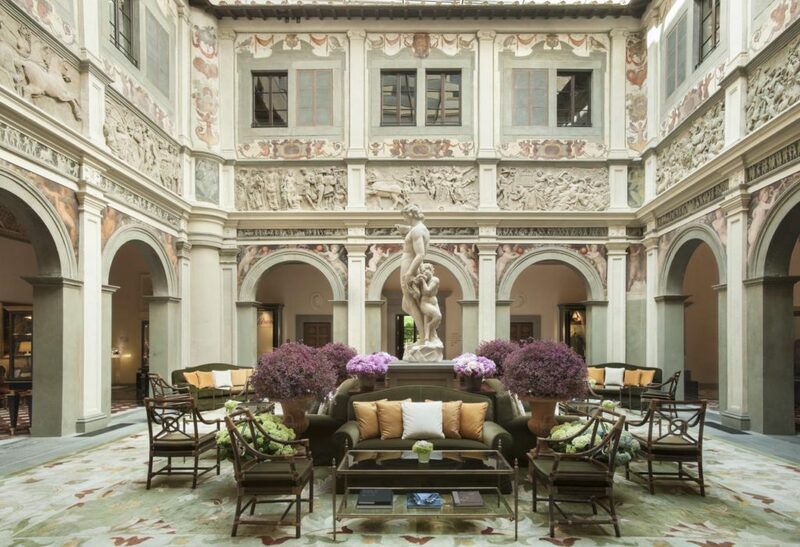 Situated in the heart of Florence, halfway between the Uffizi Gallery and Florence Cathedral, the Savoy is a fantastic five-star family-friendly hotel. With its convenient location, you can easily dash back to your hotel room for any baby-related needs or when nap time approaches. Grand Hotel Bellavista Palace & Golf. An hour drive from Florence, the Grand Hotel Bellavista Palace & Golf allows you to escape into the Tuscan countryside in style. From every room, you’ll be graced with stunning views. With a small baby, you’ll want to avoid peak holiday seasons during school breaks. Avoiding the summer season will also make sure the heat’s not unbearable. The best time to visit is during the shoulder seasons of September to November and April to May when temperatures hover between 16 to 22 degrees Celsius. When you think about baby-friendly holidays, New York might not immediately spring to mind. But, the USA is remarkably well equipped to welcome little travellers with nappies, formula, baby food and other supplies readily available. Almost every restaurant has high-chairs, bathrooms have changing facilities and nearly all tourist attractions are handicapped accessible, meaning that bring a pram here is no problem. Central Park. With paved paths running throughout, Central Park is a fantastic place to bring the baby for a walk. Little ones can feed the ducks, have a picnic on the grassy areas or even visit the exotic animals at the zoo. Empire State Building. A trip to New York would be incomplete without a visit to the Empire State Building. Kids are welcomed here and an elevator takes you to the very top so you can easily bring the pram. From the top, you’ll be graced with stunning views across the city. Brooklyn Children’s Museum. As the first museum in the USA designed specifically for children, kids of all ages, even very little ones, will delight in a trip to Brooklyn Children’s Museum. For babies, we particularly recommend the sensory room, where they can play using sensory mats, objects, and swings. New York has some fantastic luxury baby-friendly hotels. It’s important to choose a hotel in a good location, ideally within walking distance to key sights, to minimise the time you’ll need to spend on public transport or travelling by taxi. Park Lane Hotel. Speaking of great locations, the five-star Park Lane Hotel is a two-minute walk to Central Park as well as the shops of 5th Avenue and a ten-minute walk to Rockefeller Centre and MoMA. Ideal for running back to the hotel room for a quick nappy change or nap time. The Beekman, a Thompson Hotel. The five-star Beekman hotel is another fantastic choice for young families. You can choose to stay in one of the suites to make sure you can still sit up with a glass of wine after the little one goes to bed. 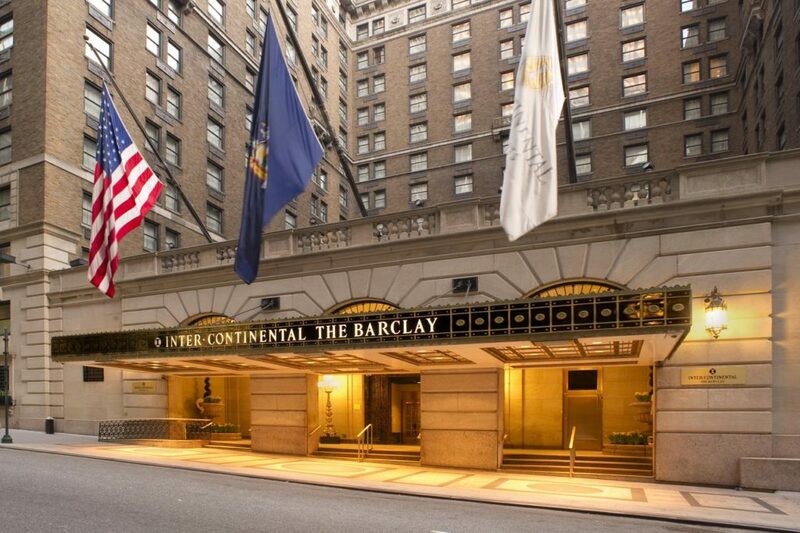 InterContinental New York Barclay Hotel. A ten-minute walk from Times Square and Rockefeller Center, this five-star hotel is popular with young families. Children’s cots are available upon request. Flying to the States can be expensive during school holidays and New York City can become sweltering hot during the summer. Autumn (September to November) is a great time to visit as the days are mild and the trees are alight with New England’s famous foliage. Visiting at the end of November at Thanksgiving would allow you to see the iconic Macy’s Thanksgiving Day Parade with its massive balloons. A personal favourite, Edinburgh is a perfect baby-friendly destination. Nearly all the attractions are located within easy distance of the city centre and the city is relatively pram-friendly (especially when compared to other European cities). You can find baby necessities almost everywhere and there are some lovely attractions designed specifically for little ones. Edinburgh Castle. Sitting high above the city the UNESCO heritage site should be an essential part of any Edinburgh itinerary. The streets leading up to and throughout the castle have cobblestones but are relatively easy to bring the pram up. There’s also changing stations available within the castle and plenty of places to sit while feeding the baby. Edinburgh Botanical Gardens. Edinburgh Botanical Gardens offer the perfect place to run off some extra energy and allow little ones to practice their crawling (or walking) skills. The cafe is very baby-friendly with high-chairs readily available and plenty of kid-friendly meal options for babies eating solids. South Queensferry. Recognised as a UNESCO heritage site, the Forth Rail Bridge attracts many tourists. Yet, South Queensferry has more to offer. You can take the pram on a long walk through Dalmeny Estate, visit one of the family-friendly cafes or have a picnic on the lawns of Hopetoun house. Edinburgh has a wide range of family-friendly hotels and many are located in the city centre. The city’s main form of public transport are buses, which means that regardless of where you stay you can easily access the main tourist attractions without having to walk too far or struggle with the pram on the subway/underground. The Principal Edinburgh George Street. Housed in a Grade II building, The Principal is a five-star upmarket chic hotel within easy walking distance of the city’s main attractions. You can book family rooms and cots are available upon request. Radisson Collection Hotel. The Radisson is the only luxury hotel located on the Royal Mile and it’s only a few minutes walk to Edinburgh Castle. As such, this is a great choice for young families as you can easily return to your hotel if your wee one gets fussy or needs a nap. Waldorf Astoria. 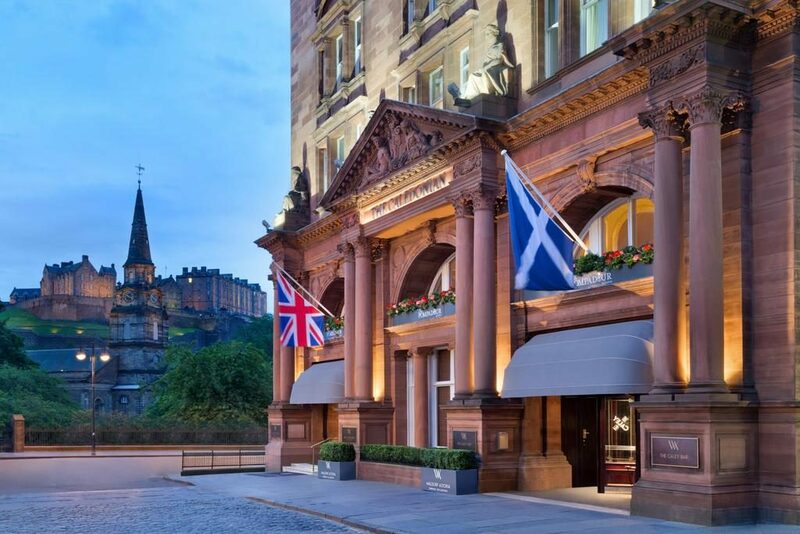 Originally built in 1903 as part of Edinburgh’s central railway station, the Waldorf Astoria is a bit of an Edinburgh institution and rightly so. You’ll have access to a swimming pool as well as a range of excellent spa treatments for that much-needed break. Children’s cots are also available on request. Edinburgh’s temperature remains relatively mild and a bit wet throughout the year. May often has the most sunshine with temperatures around 20 degrees Celsius. August is another great time of year to visit as Edinburgh Festival overtakes the entire city offering a fantastic range of performing art shows, everything from dance to drums.